Here’s what those cyber security acronyms mean. Looking for a definition? 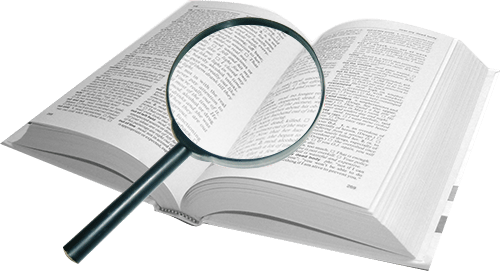 Try our interactive dictionary. Application to Application Password Management. What is Application-to-Application Password Management (AAPM)? Privileged account passwords aren’t used only by people. They are also used by software applications that need to run scheduled tasks and services. Enterprise-class privileged account management solutions can give applications access to privileged accounts. This access is carefully controlled and logged. An audit trail is provided so you know exactly what application accessed a credential, and when. IT teams have a headache on their hands when they need to change privileged account passwords for security reasons because they must then update all applications using those passwords so the application doesn’t break. This manual process is time consuming and error prone. Privileged account management software should be able to automatically update applications with the new password or use APIs to let the applications retrieve passwords dynamically. Originally known as Endpoint Threat Detection and Response (ETDR), Endpoint Detection and Response addresses the need for continuous monitoring and response to advanced threats, with a focus on detecting, investigating, and mitigating suspicious activities and issues on hosts and endpoints. EDR looks deep into your system and records and analyzes ALL activity. What is Endpoint Privilege Management (EPM)? Endpoint Privilege Management eliminates risks on the endpoint by using a combination of least privilege (users get ONLY the access they need) and application control (unauthorized applications are restricted or blocked). EPM ensures that end users run trusted applications with the lowest possible privilege, and determines whether an application can run, and how (under what privilege conditions) it can run. EPM enables organizations to block and contain attacks on desktops, laptops and servers thereby reducing the risk of information being stolen or encrypted, and held for ransom. What is Endpoint Protection Platform (EPP)? Also known as EPPs, an Endpoint Protection Platform is a set of software tools that combine endpoint device security functionality into one software product. EPP core functionality includes protecting the endpoint device from viruses, spyware, phishing and unauthorized access, but may also include a personal firewall, data protection features—such as disk and file encryption—data loss prevention, and device control. Advanced EPP solutions can integrate with vulnerability, patch and configuration management capabilities. An EPP is primarily designed for protecting endpoint devices in an enterprise IT environment. PAM, PIM and PSM all fall under the discipline known as IAM, or identity and access management. IAM as defined by Gartner is: The security discipline that enables the right individuals to access the right resources at the right times for the right reasons. With IAM you can create and manage identities for the human users in your organization and furthermore, the access they should have. Some of your users, like your IT administrators, will receive privileged identities—identities that are given higher levels of access on the network—while your sales team and other employees will receive standard user identities that do not allow them to customize network settings, access servers, or use any sort of network privilege. Privileged Access Management and Privileged Account Management. Privileged account management is the process of using software to control who gets the “keys to the kingdom.” In other words: Who can unlock a door, enter, and affect what’s inside? Who can use a privileged account and access a sensitive server, adjust permissions, make backdoor accounts, or change or delete critical data? This can be done within a privileged account management tool. When you add users to your privileged account management software you are provisioning their user accounts (making them available for use); and while setting up those accounts within the PAM tool you are deciding what they will be able to access. Most organizations do not give full access to everyone within their PAM tool.Instead, they are allowed to see only privileged accounts related to their tasks. Many organizations add users to their PAM tools manually, but more sophisticated ones use an API to connect their privileged account management software to their identity and access management software. This way, when a new IT admin employee comes onboard, they are automatically set up as a privileged user with the correct level of access within the PAM tool. Privileged account management includes managing the passwords of a privileged account. You can read about privileged password management a little further on. What is Privileged Access Management (again, PAM)? Gartner defines privileged access management as managing privileged passwords and delegating privileged actions. It’s a broader category than privileged account management because it includes both privileged account management and privileged session management. It concerns who can access a privileged account and what they can do once logged in with that privileged account. Privileged Account and Session Management. What is Privileged Account and Session Management (PASM)? Privileged account and session management is the same as privileged access management. It specifically includes shared account and password management, privileged session management, and can include application-to-application password management. 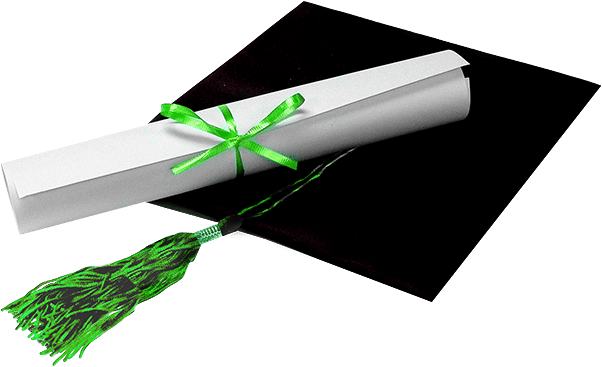 What is Privilege Elevation and Delegation (PEDM)? In Gartner’s most recent Privileged Access Management Market Guide they changed terminology from SUPM to Privilege Elevation and Delegation (PEDM). They mean the same thing. Privileged identity management refers to how people are given access to privilege. In technical terms, it is how people are provisioned into user accounts to give them access to a higher level of network privilege. What is Privileged Session Management (PSM)? Privileged session management refers to managing what someone is allowed to do after they’ve logged in with a privileged account. There are several ways organizations use software to manage access on systems, or manage a server session. Session Monitoring is a useful feature of privileged session management. It typically includes the ability to record videos of privileged sessions and log keystrokes of what’s typed. It even makes it possible for someone to review sessions live or shut the session down if the user is doing something harmful. What is Privileged User Management (PUM)? Whereas PAM is a user-specific process in which users can request elevated access with their existing account, PUM is account-specific and involves the management of a system’s existing accounts, such as administrator, root, or other administrative service accounts. PUM is also referred to as PAM and PIM, but as you’ll learn from other definitions in our cyber dictionary—there are subtle differences. PUM accounts are often shared, a second authentication factor is rarely added, and typically, authorized users access the PUM accounts by simply using passwords. Privileged ________ Management. It refers to “all of the above” privileged terms. A privileged account is a login credential to a server, firewall, or other administrative account. Often, privileged accounts are referred to as admin accounts. Your Local Windows Admin accounts and Domain Admin accounts are examples of admin accounts. Other examples are Unix root accounts, Cisco enable, etc. When we talk about privileged accounts we’re talking about the actual username and password; these two things together make up the account. A privileged account is allowed to do more things (i.e. it has more privileges) than a normal account. Privileged accounts are doorways to an organization’s “kingdom”—the place where sensitive information is stored—and as such they need to be very secure. Examples of sensitive information include medical records, credit card details, social security numbers, government files, and more. Within an organization “identities” are essentially digital versions of real people or in other words, an account used by a human. A privileged identity is when an identity has been granted access to sensitive systems, data, etc. What is Privileged Password Management? Privileged passwords are passwords used to access privileged accounts. Privileged password management is the same as privileged account management. Both refer to the practice of protecting privileged accounts, managing them, sharing them, and being accountable for them. Privileged account management software not only controls who can access the account itself, but also manages the account’s password according to customized policies, such as automatically generating strong passwords, changing passwords on a schedule, and even automatically changing privileged account passwords with a single click. This enables you to limit your organization’s vulnerability risk when an employee or contractor leaves. What is Shared Account Password Management (SAPM)? Shared account password management is the same as privileged account management, but it can be problematic. For simplicity, many IT teams sidestep best practice and create one privileged account per server, or even one username and password to use for multiple privileged accounts. These are shared accounts. The problem with sharing accounts is that you never know precisely who is using them at any given time. So if you have a server failure, you cannot tell who logged in before the system went down. What is Software Change and Configuration Management (SCCM)? Gartner defines Software Change and Configuration Management as the implementation of a set of disciplines used to stabilize, track and control the versions and configurations of a set of software items using tools designed for this purpose. SCCM may include development change management, defect tracking, change automation, development release management, integrated test management, integrated build management and other related processes. SCCM tools are designed to support version and configuration management of software source code and supporting artifacts. Security Information and Event Management system, used to manage critical assets including software applications. These systems can be integrated into application control systems as part of privilege management, for example software applications in a SIEM system could be used to build a whitelist. What is Superuser Privilege Management (SUPM)? On Unix systems, superusers are users who gain privileged access for a limited period of time. Unix allows certain users to elevate their privilege to superuser status for a specific task, and when they’ve completed their task they revert to being a standard user. Superuser privilege management controls when users are allowed to elevate to superuser status, and what commands they can run in superuser mode. Also sometimes listed under SUPM, is application and command whitelisting, blacklisting, and greylisting. This controls what Windows applications or Unix commands someone can run while logged into a server or device as an administrator or superuser. Whitelisting means you have a list of approved commands, and anything on that list can be used. If it’s not on the list, it won’t work. Blacklisting is the opposite. It’s where users can do anything they want, as long as it is not on the blacklist. Greylisting is more flexible. It often includes integrations into lists of known risks, or the ability to review and approve requested application elevation on the fly. Application whitelisting, blacklisting, and greylisting is also frequently referred to under the categories of Application Control or Privilege Elevation. User Account Control is a security feature of Microsoft Windows which helps prevent unauthorized changes (which may be initiated by applications, users, viruses or other forms of malware) to an operating system. UAC improves the security of Windows by limiting application software to standard user privileges until an administrator authorizes an increase or elevation. User and Entity Behavioral Analytics. User and Entity Behavior Analytics is the use of sophisticated algorithms to create a baseline for the activity of entities such as users, apps, devices, servers, etc. Once baseline behavior is established an organization can calculate its risk based on deviations from the baselines in order to identify security anomalies. UEBA recognizes that entities other than users are regularly profiled in order to more accurately pinpoint threats, in part by comparing the behavior of these other entities with user behavior. UEBA software correlates both user activity and other entities such as managed and unmanaged endpoints, applications, networks, and also external threats. Some terminology cyber security is plain confusing. Like identity and access management (IAM), privileged identity management (PIM) and privileged access management (PAM). Are they the same, or just similar? We created an online dictionary to get to the bottom of it right here, right now. 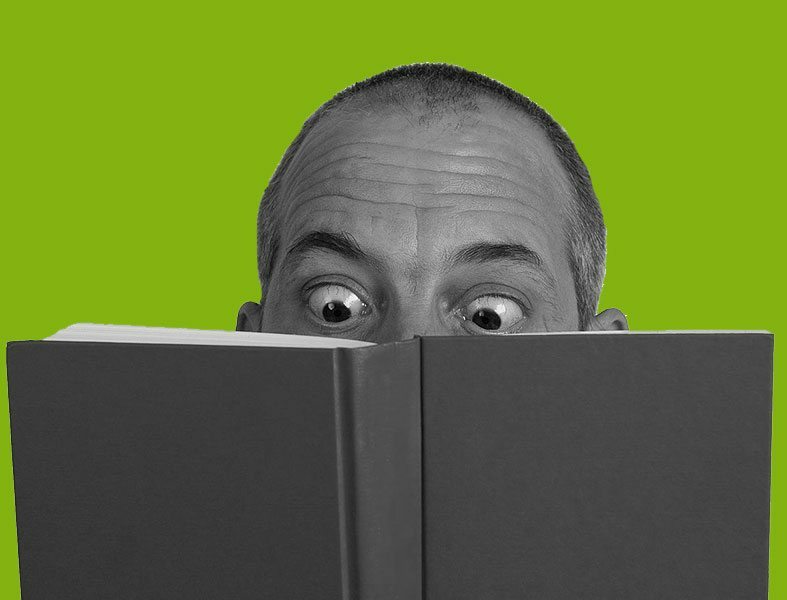 What makes IAM, PIM, PAM and the other cyber security acronyms so confusing? IAM, PIM, PAM and other acronyms we’re going to talk about are related to the same thing: solutions to secure sensitive assets. These terms are about safeguarding data and systems by managing who has access and what they’re allowed to see and do. These terms overlap a little, which can be confusing. Some phrases are relative newcomers to the cyber security lexicon and people are often inclined to drop them into conversation as if they were fully interchangeable. Many of these acronyms include the words “privilege” and “privileged.” What’s the difference? “Privilege” is the authority to make changes to a network or computer. Both people and accounts can have privileges, and both can have different levels of privilege. For example, a senior IT administrator or “super user” may be able to configure servers, firewalls, and cloud storage, and has a high level of privilege. A sales rep, however, should be able to use some systems—by logging into laptops and accessing sales data, for instance—but they shouldn’t be able to change network settings, permissions, or download software unless it’s on an approved list. Picture all the people who have different levels of access on the network of a single organization: the Unix administrator can access Unix systems; the Windows admins manage Windows systems; Help Desk staff can configure printers, etc. Add to that all the accounts required to log into those systems and you can quickly imagine the thousands upon thousands of privileges within an organization. Briefly, it’s definitive, authorized access of a user, process, or computer to a protected resource. Privileged Access Management, therefore, encompasses a broader realm than Privileged Account Management, focused on the special requirements for managing those powerful accounts within the IT infrastructure of an organization. It also consists of the cyber security strategies and technologies for exerting control over the elevated access and permissions for users, accounts, processes, and systems across an IT environment. Also incorporated under Privileged Access Management is how the account is being protected. For example, access workflows, two-factor/multi-factor authentication, session recording, and launching are critical elements of a comprehensive Privileged Access Management strategy. “Privileged” is an adjective that describes things with privilege (e.g. privileged account, privileged identity). In the example of the administrator role, although the admin has a certain level of privilege he or she still needs a privileged account in order to perform privileged tasks. You’ll often hear the words “privilege” and “privileged” used in context with “management.” Privilege Management refers to the process of managing who or what has privileges on the network. This is different from privileged account management, which refers to the task of managing the actual accounts that have already been given privileges. We always say privileged accounts are the keys to the kingdom. They provide access to a company’s most critical information. A privileged account can be human or non-human. These accounts exist to allow IT professionals to manage applications, software and server hardware. They also provide administrative or specialized levels of access based on higher levels of permissions that are shared. The typical user of a privileged account is a system administrator responsible for managing an environment or an IT administrator of specific software or hardware. The domain of Privilege Management is generally accepted as part of the broader scope of Identity and Access Management (IAM). However, identity and privilege are inextricably linked and, as tools and solutions become more sophisticated, the lines continue to blur. Identity refers to attributes. You, your boss, the IT admin, and the HR person are only a handful of examples of who can be responsible for creating, updating, or even deleting attributes. The core objective of IAM is one digital identity per individual. Once that digital identity has been established, it must be maintained, modified and monitored. Privilege Management is part of IAM, helping manage entitlements, not only of individual users but also shared accounts such as super users, administrative or service accounts. 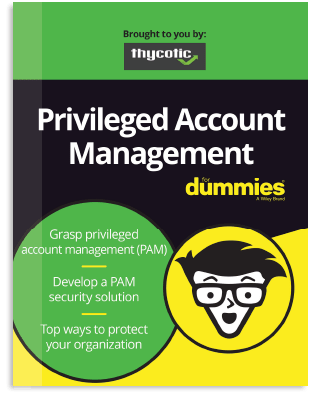 A PAM tool, unlike IAM tools or password managers, protects and manages all privileged accounts. Mature PAM solutions go even further than simple password generation and access control to individual systems, but also provide a unified, robust, and – importantly – transparent platform integrated into an organization’s overall Identity and Access Management (IAM) strategy. How does all this privileged stuff fit into my organization’s security strategy? What are the top risks of having unknown or unmanaged privileged accounts? An employee leaves and the account is simply abandoned. The account is utilized less and less until it becomes obsolete and forgotten. Default accounts for new devices are not utilized. Every unknown account increases your vulnerability and presents an opportunity for an intrusion. An employee finds the account and uses it to perform unauthorized tasks. An ex-employee continues to access the account. A hacker finds the account and penetrates your organization, steals information, and wreaks untold havoc. How does PAM software thwart hackers and other external threats? Effective PAM solutions employ numerous features to lock down privileged access and thwart cyber attacks. They can discover privileged accounts across your organization and import them into a secure, encrypted repository—a password vault. Once all privileged credentials are inside, the solution can manage sessions, passwords, and access automatically. Combine all this with features like hiding passwords from certain users, auto-rotating valuable passwords, recording sessions, auditing, and multi-factor authentication and you have a robust defense against external threats. How does Privileged Access Management software protect organizations from internal threats? PAM solutions contain multiple features to safeguard against internal threats. Audit trails and email alerts keep administrators informed of what’s going on in the environment. Session monitoring and recording increases visibility of privileged account activity. There are also permissions as well as role-based access controls to give users the access they need to do their jobs. Last but not least, there should be a feature to sever the access users had the moment they leave the organization. Is a password-protected Excel spreadsheet a secure way to manage and share passwords? No, definitely not. Though very common, Excel was never intended to be a password management solution and lacks crucial security features. A spreadsheet doesn’t know the difference between the CIO and a summer intern. The same applies to other popular methods companies use to store and share passwords, like Word documents, text files, even Post-it notes. Is my small business ready for enterprise-level Privileged Account Management software? Finally, is there a checklist of things I should know before I purchase Privileged Access Management software? Choosing the right PAM software for your organization is a task to be taken seriously. Research can be hard to do because even once you have your final contenders on a shortlist you’re still not comparing apples with apples. Here’s a checklist of some important items to consider. We recommend calling vendors and asking questions before purchasing PAM software. Also, request a free trial to be sure your IT team will use it. Once you have a checkmark next to every item, you’re looking at software you’ll be happy with. Fully scalable Will the software scale up to meet your needs as your organization grows? Complete solution Does the price include everything you need to truly lock down your privileged accounts in the manner most suitable for your organization? You should not have to navigate numerous add-ons for every little feature or pay later for additional functionality. Everything you need in a solution should start from Day One. Fast to deploy Your IT admins will thank you for this. Simple to manage Good PAM software makes your IT admin’s job easier not more complex. Well accepted by users A high adoption rate among users results in better security across your organization. Excellent time to value The solution should be swift, effective, and assist you with the kind of protection promised without having to establish any extended timelines. Affordable Prices vary—a lot. View our charts to see how popular vendors compare price-wise. Feature Rich Are new features added regularly to keep the software up to standard? Ask to view the features list. Top notch support Support must be guaranteed from trial to purchase. The best vendors offer phone, email, knowledge base and forum support. Innovation and frequent updates Attack vectors keeping increasing in number and complexity. The solution should be able to keep up. Customer responsiveness You should have a say in the direction the solution is developed. If you’re concerned that your organization does not have a super-secure privileged access management system in place, please encourage your IT admin to try the free version of our PAM software. Check out other cyber security terms, tools and topics here!